Which Financial Type Are You? The quickest path to gain clarity and confidence around your finances is to determine where you’re currently at. You can start by taking my Financial Type quiz, accessible via the button below! I’m a Certified Financial Planner™ who works with brilliant, high-level individuals like you in both business and medical fields. I help you get crystal clear about your money so you can create the right goals to help you get to the next level. 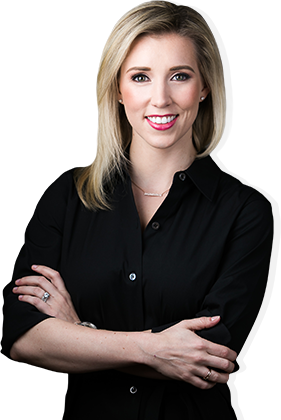 If you'd like to learn more about my role as a financial advisor with Northwestern Mutual, click here. Gaining clarity about personal finances, taking financial ownership, and building a healthy relationship with money is hard, and the anxiety of tackling such could be holding you back. There is a way to enter into a healthy relationship with our finances, starting with discovering your FIN type.(?) Everyone―the millennial, the single parent, the forty-year-old blue collar worker, or the late-fifties CEO―has a financial type, or FIN type, and it’s never too late or too early to start working on your financial plan. 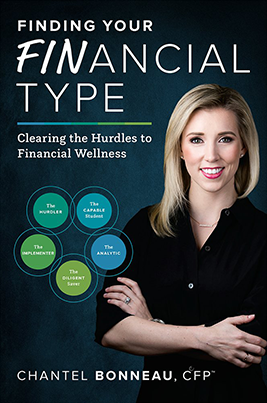 The views and opinions expressed in Finding Your Financial Type: Clearing the Hurdles to Financial Wellness are those of the author and may not necessarily reflect those of Northwestern Mutual or any of its subsidiaries or affiliates. Northwestern Mutual is not affiliated with this activity.